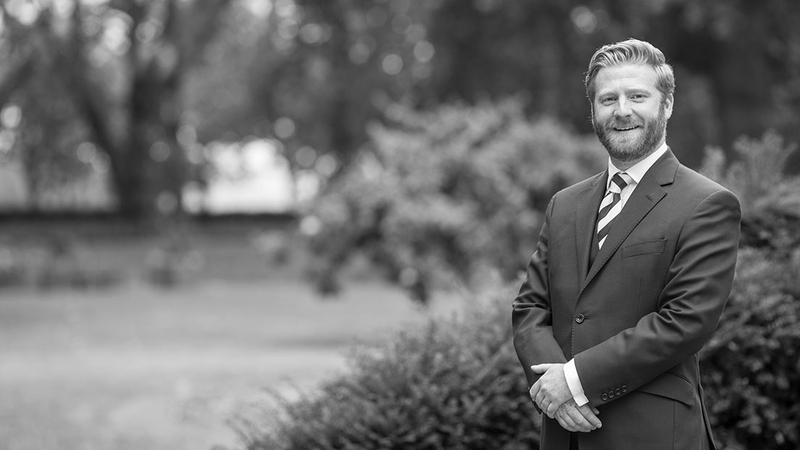 Simon Walters is an experienced advocate who joined chambers after the successful completion of his pupillage and since that time has developed a broad practice in all of chambers’ main areas of expertise. However, his main areas of practise are regulatory law, professional discipline law and general criminal law. Simon is frequently instructed to deal with complicated and sensitive matters and both prosecutes and defends. Simon is thorough, pragmatic and calm in his approach to each case. He is also qualified to act on public access matters. Simon has developed an extensive practice in regulatory law and accepts instructions on behalf of regulatory authorities and professionals. He has appeared before fitness to practise tribunals of different regulators in every conceivable type of hearing and is able to advise on all relevant issues both pre- and post- hearing. Simon spent twelve months with the Nursing and Midwifery Council (NMC) followed by a further twelve months with Kingsley Napley, during which time he was acting for the Health and Care Professions Council (HCPC). The NMC and HCPC are respectively the largest and second largest healthcare regulators in the UK, with seventeen different professions regulated between them. Simon was selected to present cases involving nurses, midwives, psychologists, paramedics, social workers, operating department practitioners, biomedical scientists, radiographers, occupational therapists, physiotherapists, speech and language therapists and arts therapists across the UK. Since those secondments, Simon continues to act for both regulators, as well as appearing at the General Medical Council. Simon has been instructed to act in multiple cases concerning the death of patients, including neonatal deaths. The cases Simon has appeared in often involve expert evidence, vulnerable witnesses and allegations concerning complex technical matters. He has acted in matters across the full range of serious misconduct issues along with cases involving lack of competence and health issues. In addition to acting in final hearings, Simon has significant experience in dealing with interim order applications and reviews and substantive order review hearings. In addition to his regulatory practice, Simon receives instructions in a variety of criminal matters to both prosecute and defend in the Crown Court. Simon was appointed to the Crown Prosecution Service’s Grade 2 Panel but is also frequently instructed to defend both publicly and privately funded defendants. Simon has acted in cases that cover the full range of criminal offences including serious offences involving dishonesty, violence, sexual offences and drugs. In the past, Simon has dealt with complex disclosure exercises and has acted in numerous cases involving vulnerable complainants and witnesses. He also practices in Proceeds of Crime and is familiar with the statutory framework and case law underpinning this changing field of practice. Simon was instructed to prosecute eight nurses involved in the death of a vulnerable patient in their care. This case involved expert from four disciplines giving evidence regarding complex causation issues. Simon prosecuted a midwife who was struck off for her role in the death of a baby hours after its birth. Simon represented a doctor at the General Medical Council, who was alleged to have sexually assaulted a colleague. Simon was instructed to prosecute a Social Worker who had neglected to fulfil her duties in respect of her caseload of vulnerable children. The registrant was removed from practice as a result of the allegations against her. Simon represented a nurse who faced multiple allegations stemming from inside and outside of the UK. The registrant was allowed to continue to practise unrestricted following this hearing. Simon prosecuted an educational psychologist in a complex case involving the inappropriate use of psychometric tools during an autism assessment. This was a complex case involving contested expert evidence. Simon represented the HCPC in a case against a physiotherapist regarding the use of ill-chosen treatment techniques. Simon successfully prosecuted a case involving a music therapist who was involved in an inappropriate relationship with a vulnerable service user. Simon presented a case involving a social worker who was alleged to have pressed her religious beliefs on to vulnerable children. Simon successfully prosecuted a paramedic who made sexual comments to patients and other individuals. Simon presented a case against a nurse who sexually assaulted a colleague. Simon successfully represented the NMC in fitness to practice proceedings against a ward manager who had manipulated annual leave and other records over two years to his financial gain. Acted as junior counsel in the prosecution of an organized crime group that was importing and supplying millions of pounds worth of Class A drugs. In total, nine defendants were convicted. Led by Andrew Shaw. Simon acted for a man accused of sexual activity with a child. Successful prosecution of three defendants from Ireland for conspiracy to burgle dwellings. Successful prosecution of a case involving the supply of Class A drugs. Successful prosecution of a conspiracy to commit theft of high end cycles from train stations in the Home Counties.